As we begin to welcome new students, we also have a great lineup for our research seminar this semester. Please download it from the attached PDF. 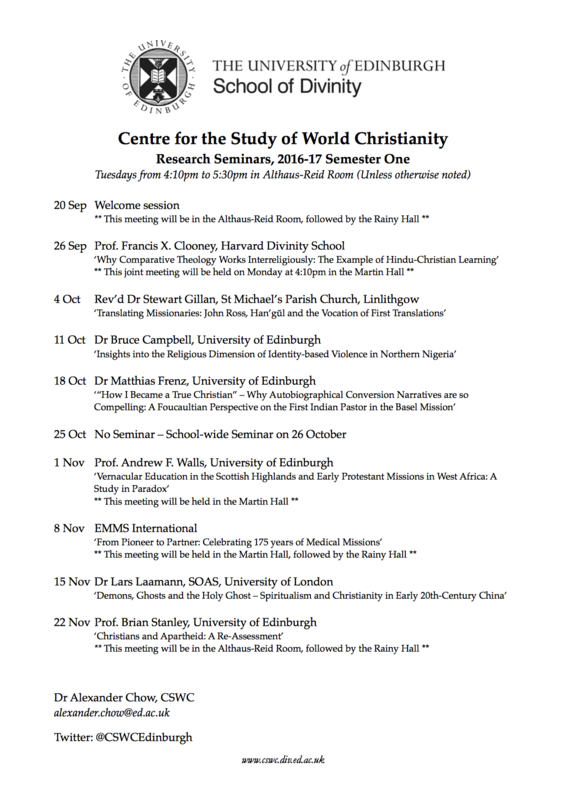 This entry was tagged Missions, Research Seminar, World Christianity by Alexander Chow. Bookmark the permalink.